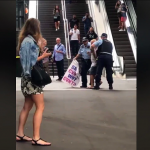 The Queensland Police Union (QPU) has defended a police officer who was filmed pushing a mother to the ground during the arrest of her son at their Brisbane home over the weekend. The QPU says the officer acted “entirely appropriately” despite widespread outrage after video of the arrest went viral on social media. Police were called to investigate a domestic dispute in Brisbane’s north after an “anonymous tipoff”. According to NITV journalist Danny TeeJay Johnson, police arrived at an incorrect address – a place where the Indigenous occupants were having a “song and dance”. 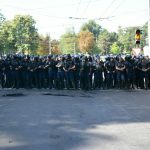 Police proceeded to arrest and handcuff a 16-year-old Indigenous boy, after which his mother pleaded for police to let him go, repeatedly saying “that’s my son!”. While performing the arrest, police told the mother to get back before pushing her several times, and finally shoving her forcefully to the upper chest / neck area, causing her to fall and get back up. She then tells police to get out of her house. The officer then directs her to “sit down and shut up”, before another officer is told to arrest her. By this afternoon, more than 650,000 people had viewed the 55-second video on social media, triggering heated debate about whether the officers had used reasonable force. Several members of the public have urged the family to make a formal complaint to Queensland’s Crime and Corruption Commission. “The police have acted entirely appropriately and I would have probably done the same”. 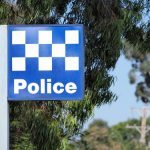 A Queensland Police Service spokesman alleged that the officers “were both obstructed and assaulted” and that four people were arrested during the incident. 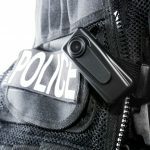 Throughout Australia, various laws and codes of conduct require officers to use no more than ‘reasonable force’ when dealing with members of the public, yet footage of police brutality is increasingly common, with many incidents going unpunished. Police officers are expected to uphold high standards of professionalism and integrity due, among other things, to the immense power and lethal weaponry with which they are entrusted. But the proliferation of camera phones has made it increasingly common for police brutality and other forms of misconduct to be seen by the public. If you have been subjected to police brutality, you have a right to complain. We have previously written about how to make a complaint about NSW Police. Such complaints can be made internally to the NSW Police Force, to the NSW Ombudman’s office or to the Police Integrity Commission (PIC). However, many are dissatisfied with the outcome of such complaints – as internal complaints rarely result in disciplinary action, while both the Ombudsman and PIC have limited powers and resources when it comes to investigating police. The Ombudsman, for instance, is inundated with upwards of 3,000 complaints against police each year and does not have sufficient resources to investigate them all, let alone the power to discipline police officers. 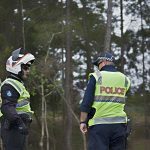 Alternatively, a civil lawyer may be able to advise you about the prospects of success in pursuing a claim for damages against the NSW Police Force, and the associated costs. On the flip side, knowingly making a false complaint about a police officer, or giving false or misleading information during the investigation of a complaint, is an offence under the Police Act 1990. There are also several offences under the NSW Crimes Act which prescribe harsh penalties for those who make false complaints. For example, section 314 makes it an offence to falsely accuse a person of a crime when knowing they are innocent. The maximum penalty for that offence is 7 years imprisonment. The laws applies to all people equally, including those who make false allegations of sexual assault or domestic violence, those who lodge false AVO applications, and police who falsely claim to have been assaulted. If you are making a complaint, ensure that it is written in a factual and level-headed manner – rather than emotively. If you would like advice or assistance with preparing or lodging a complaint, an experienced lawyer may be able to assist.